Who are you pretending to be? Who do you pretend for? Why do you pretend? All of us wear masks. We pretend to be someone we are not. We hide our insecurities, our fears, our vulnerabilities, our wants, what we need from each other, our sadness, our imperfections and our brokenness behind smiles, shrugs, silence, constant activity, exaggerated senses of humor and false attitudes. We do so because we are afraid that if people knew the real us they would think less of us, reject us, not love us, judge us or ridicule us. We assume we will not be understood. Yet real understanding begins with honesty and authenticity. We wear masks to protect us from feeling inadequate, vulnerable and insecure. We hide behind a mask of artificial toughness to protect ourselves from being hurt–even if there is no guarantee, even if it prevents us from enjoying authentic relationship. Masks keep us lonely, even when surrounded by acquaintances, friends, family and loved ones. 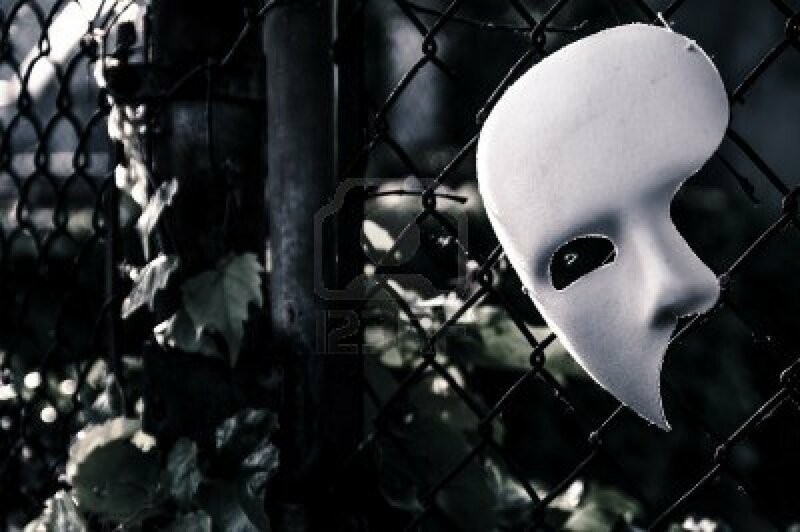 Masks create a wall keeping us separate from others. Today is a good day to take a mask off. Give yourself an opportunity to really enjoy life and give others the opportunity to enjoy you. Take a mask off and be closer to who you are and to those who love you as well. Sometimes, even the truthful face, when shown, is misunderstood as a masquerade.